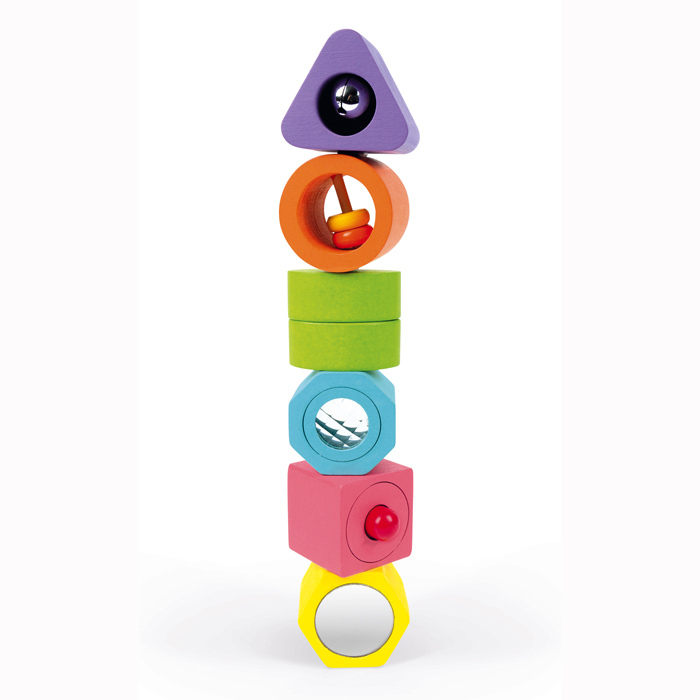 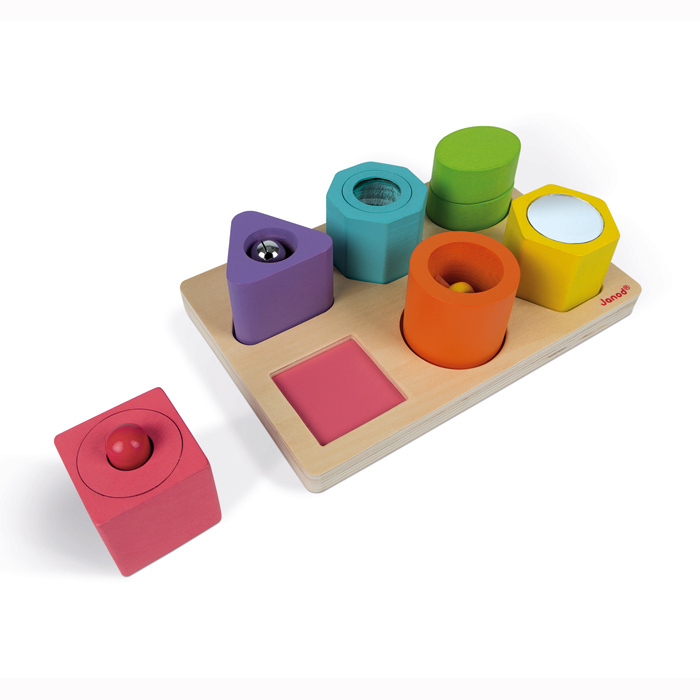 Sensory development is vital for coordination and self awareness for babies and toddlers and the Janod Shapes and Sounds Blocks assists in those necessary messages of sight, sound and touch. 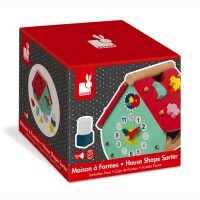 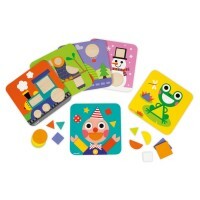 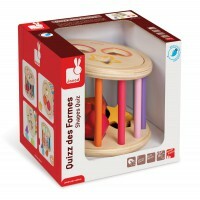 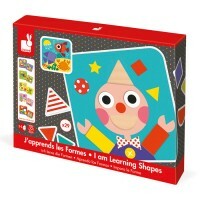 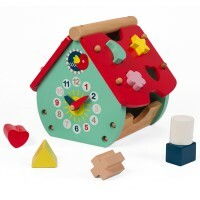 6 wooden FSC certified shapes are contained in this puzzle. 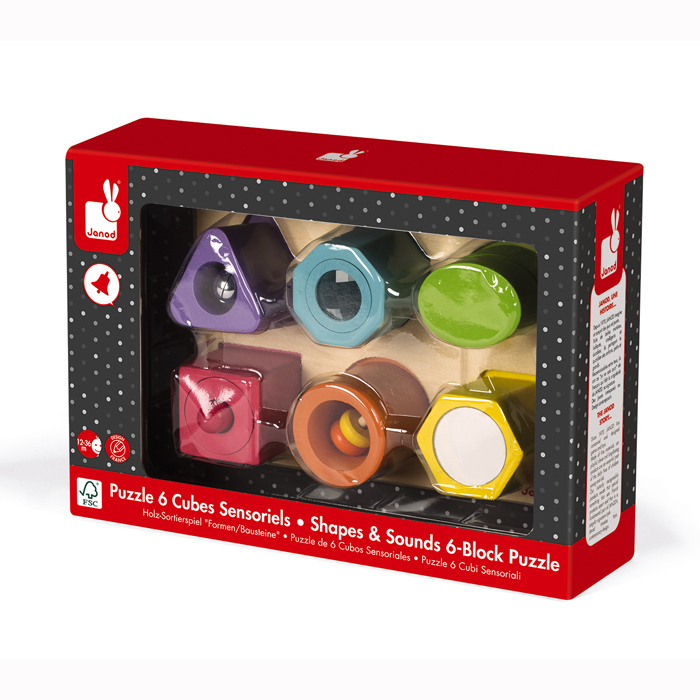 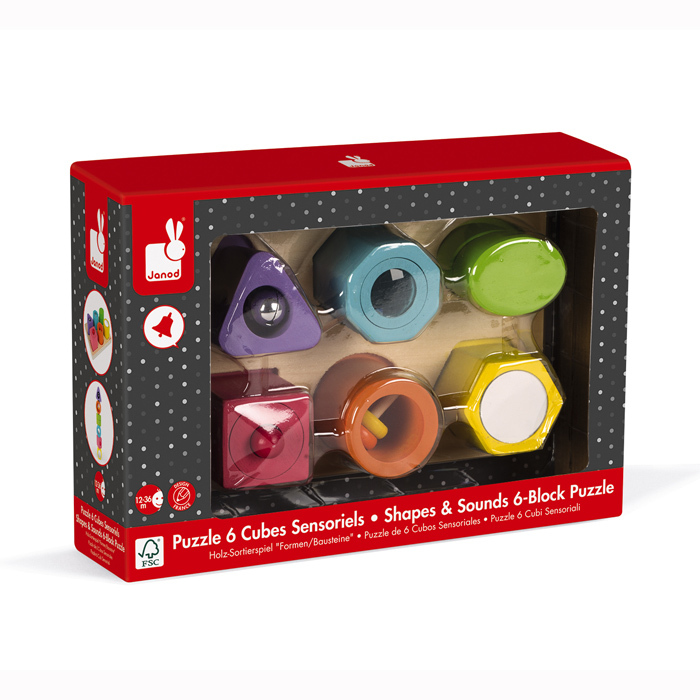 There is a rattle, horn, mirror, bell, kaleidoscope and ratchet sound all colour coded with their place on the puzzle board. 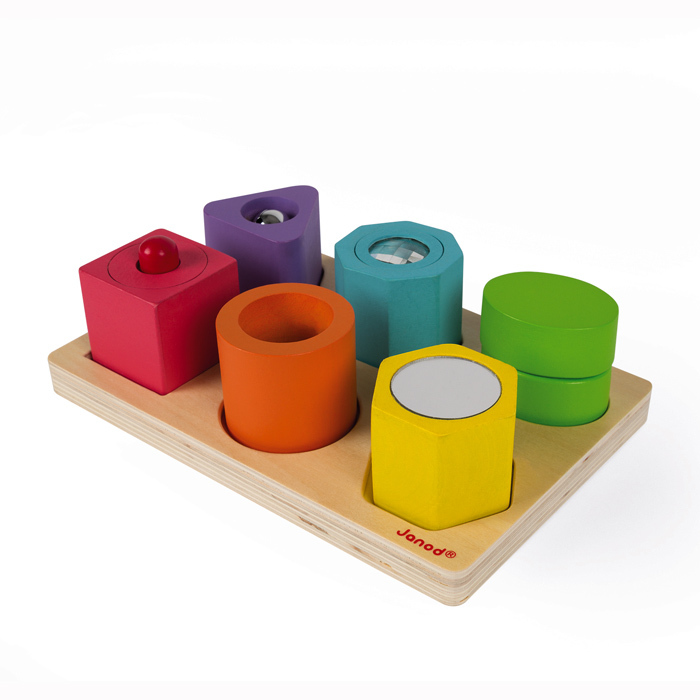 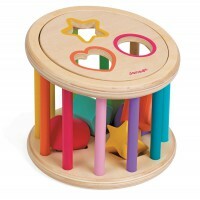 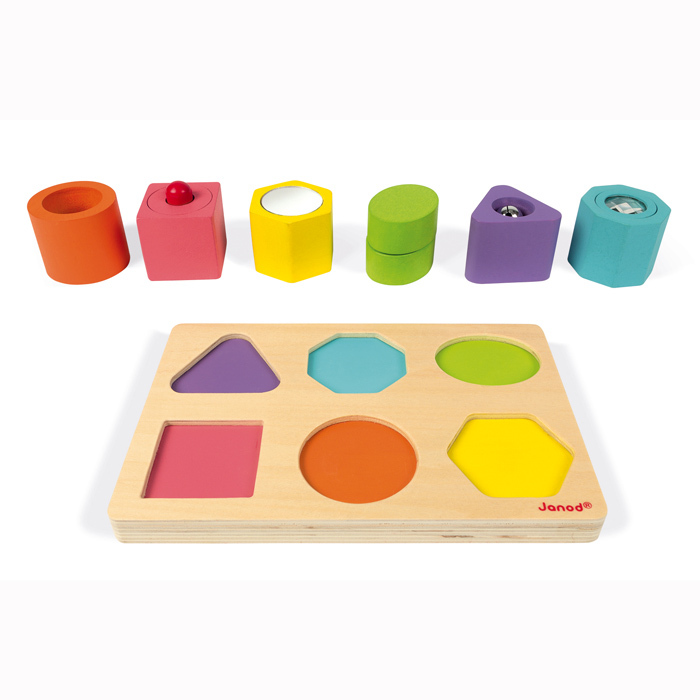 The blocks can be played with individually or stacked, they will teach shape, colour and sound and they will assist with fine motor skills and cause and effect when something is shaken, pushed or pulled. 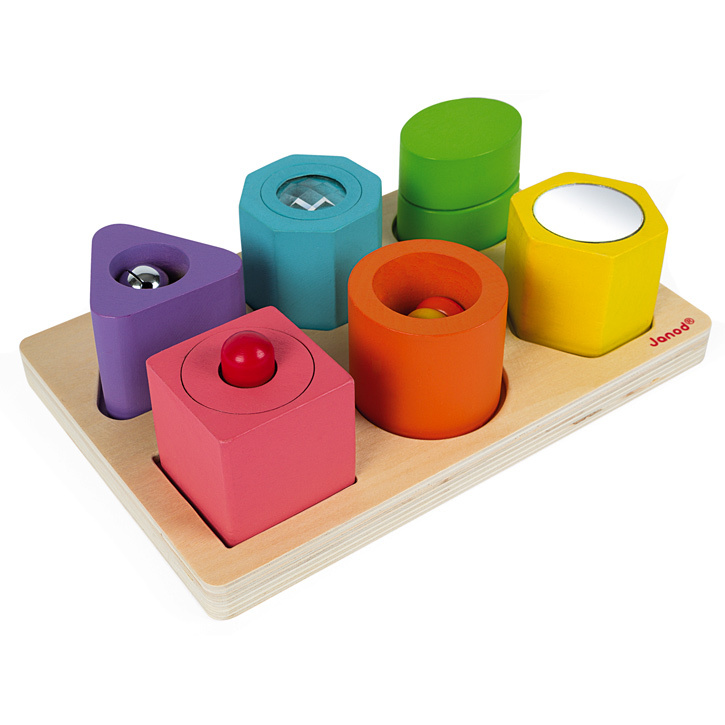 Really simple but really effective!